SAN LUIS OBISPO — The Cal Poly Soil Judging Team won first place in the Regional 6 Collegiate Soil Judging Competition held Nov. 3 at Bartleson Ranch in Arroyo Grande. The competition, sponsored by the American Society of Agronomy and the Soil Science Society of America, challenges students to describe, classify and interpret soils in the field in a competitive setting using standards established by the USDA Natural Resources Conservation Service. 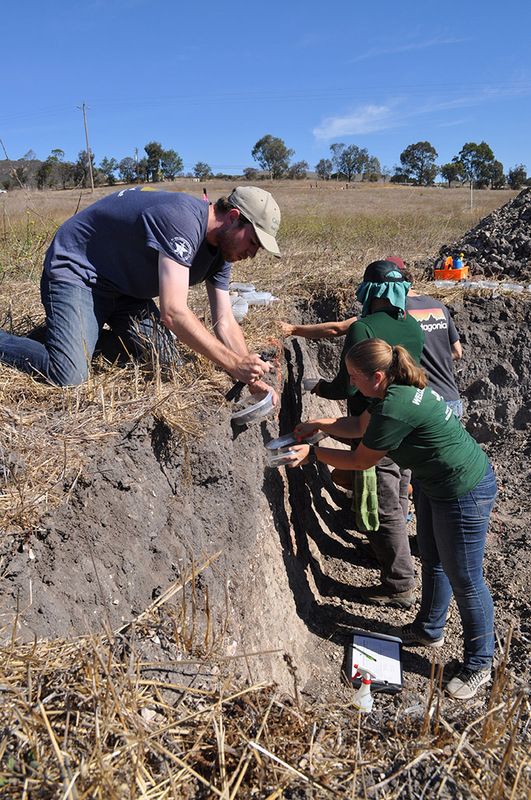 Cal Poly will host the next phase of competition April 14-19, 2019, when 24 teams from across the country attend the National Collegiate Soil Judging Competition. The Cal Poly team, comprised of nine students, took first place in group judging; first, second, and third places in the individual competition; and first place overall. Forestry and natural resources major Braden Povah won first place overall in the individual competition. Senior environmental earth and soil sciences major Ryan Cunning took second place, and junior environmental management and protection major Blake Toney took third. Daniel Johnson, a faculty member in Natural Resources Management and Environmental Sciences, coached the team, and Professor Gordon Rees organized and oversaw the competition. Twenty-seven students from Cal Poly and three other universities — Fresno State, Chico State and Humboldt State— participated in the regional competition. Soil contestants arrive at various soil pits and are expected to correctly identify, evaluate, classify and describe four soil profiles. 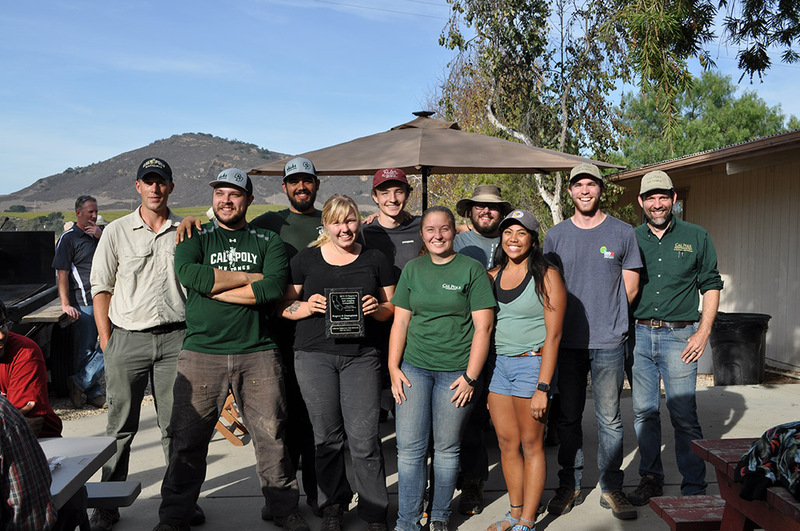 Soil Team.jpg — The Cal Poly Soil Judging region champion team, pictured left to right: Coach Daniel Johnson, Riley McFarland, Angel Ramirez, Abigail Gnewuch, Blake Toney, Katie White, Manfred Mayer, Janelle Rey, Braden Povah and Professor Gordon Rees. Soil Competition.jpg — Cal Poly students examine the soil and collect samples during the competition. From left are Braden Povah, Katie White, Angel Ramirez and Blake Toney. Please note: Higher-resolution images are available upon request.